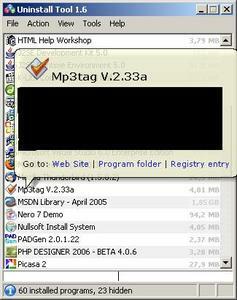 Ultra small utility to help you to uninstall various software. It replaces the standart unconvenient and heavy “Add and Remove Programs”. The program has lots of features, options that are mising in Microsoft.